As he crossed the finish line today in Stage 13 of the TDF, Jérémy Roy patted his heart twice with his right hand, then held that hand palm out as if to say: enough, I have given it all to you (j’ai tous donné) — you the fans, you the road, you this heaving unforgiving beast that is the Tour. There is no more to give. Today’s break was the fifth Jérémy has found since the start of this year’s Tour. As he crested the Tourmalet and began the descent to Lourdes, the win in the Tour he has dreamed of seemed within reach. Then in the final kilometers Thor Hushvod wrenched the win from Jérémy’s heart. Watching Jérémy today reminded me of all the pro-cyclists who, through courageous efforts and the messages they send, have left their hearts on the road. Surely enough exist to form a nine-man team. This All Heart team would never win a fantasy team contest based on traditional rules, as most often its members’ acts of courage do not result in the rulebook’s definition of winning. Jérémy knows that definition. 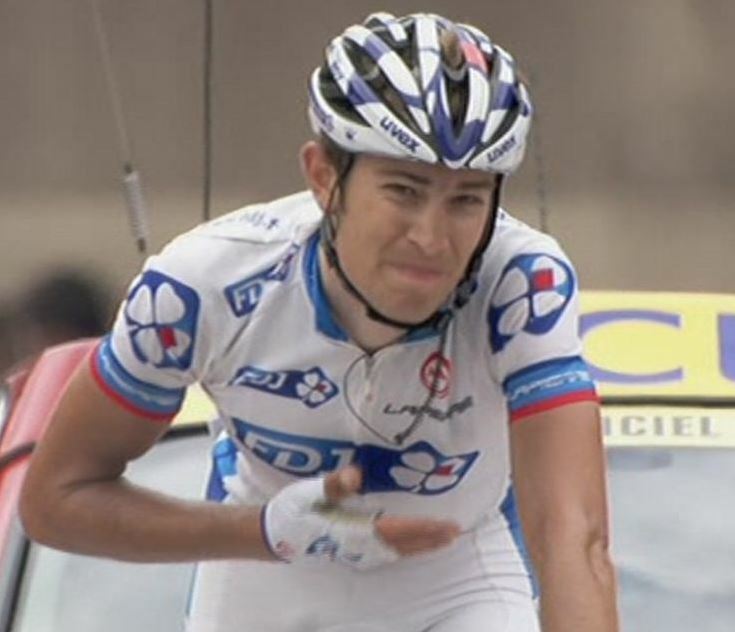 “It’s the win that counts,” he said in an interview with French TV today; the polka-dot jersey was a consolation prize. Here are my picks for the 2011 All Heart Pro-Cycling Fantasy Team. There are surely deserving guys I have omitted, especially those on domestic teams I have not seen race. Let’s consider this team selection a work in progress.